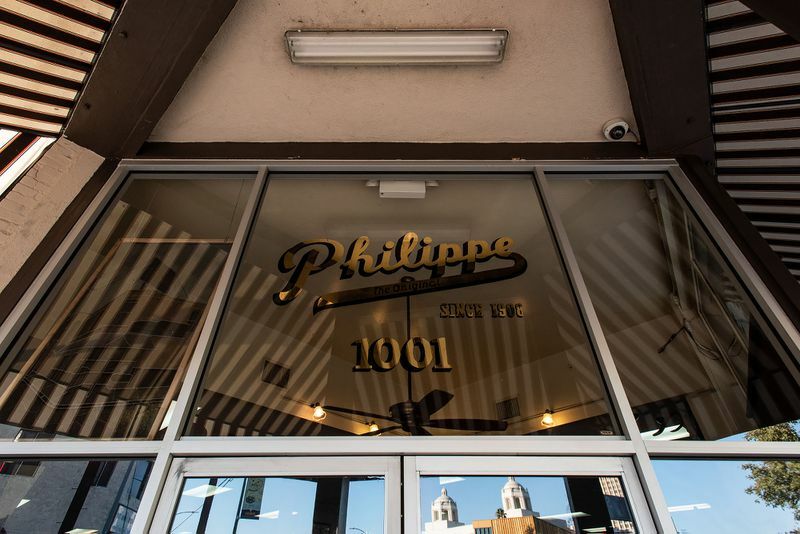 Downtown Los Angeles dining institution Philippe the Original celebrates 110 years in business with a massive anniversary party tonight and plans to sell sandwiches for $1.10 apiece between 4 p.m. and 8 p.m. Eater takes a look at one of the city’s most venerated restaurants, from its history to its glorious sandwiches, to its enduring Dodger-loving fans. 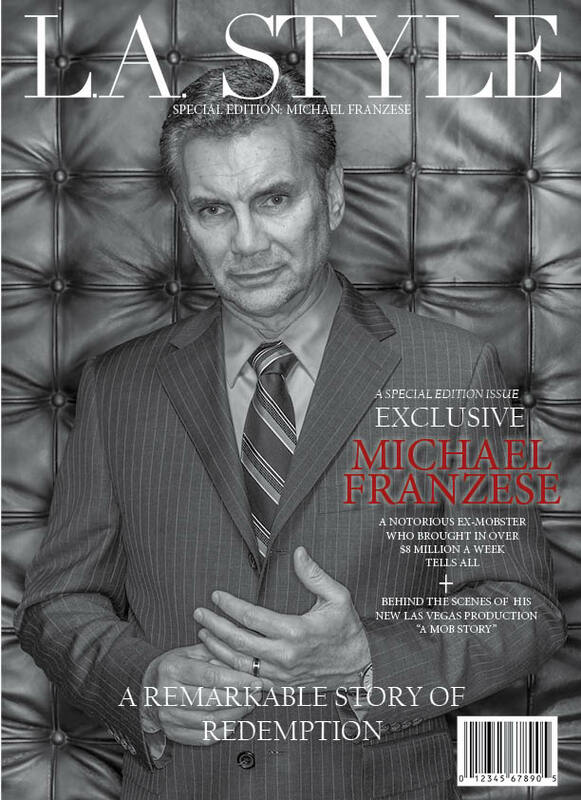 Los Angeles isn’t the kind of city where one regularly finds sawdust on a restaurant floor. 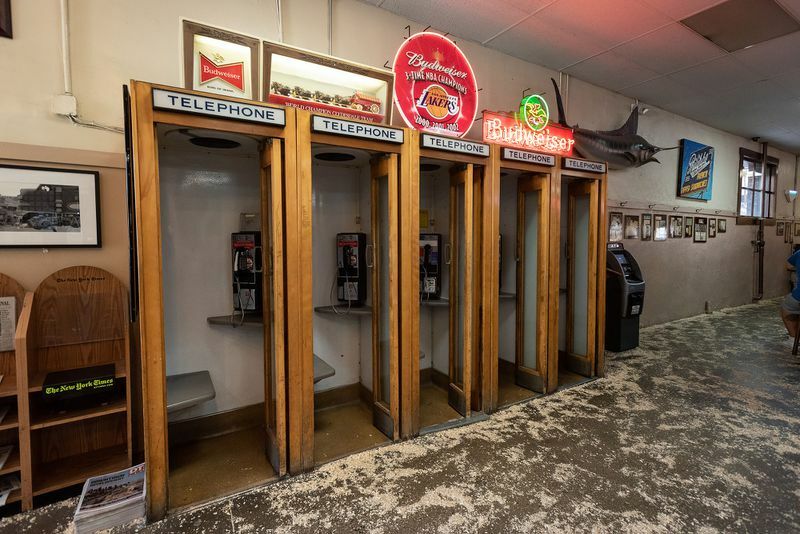 That sort of esoteric feature is usually reserved for Central Coast roadhouses or deep Texas dive bars. 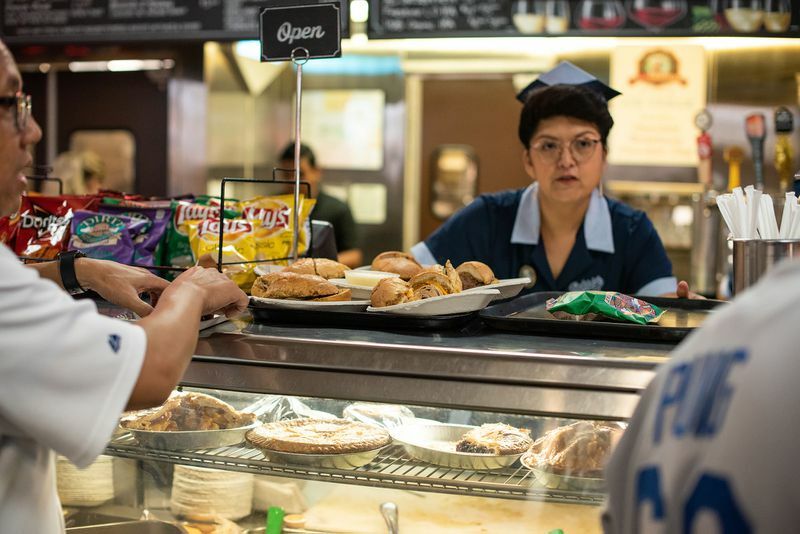 Even Grand Central Market in Downtown got rid of its sawdust years ago, right when the development’s owners started turning over the vendors in the place. 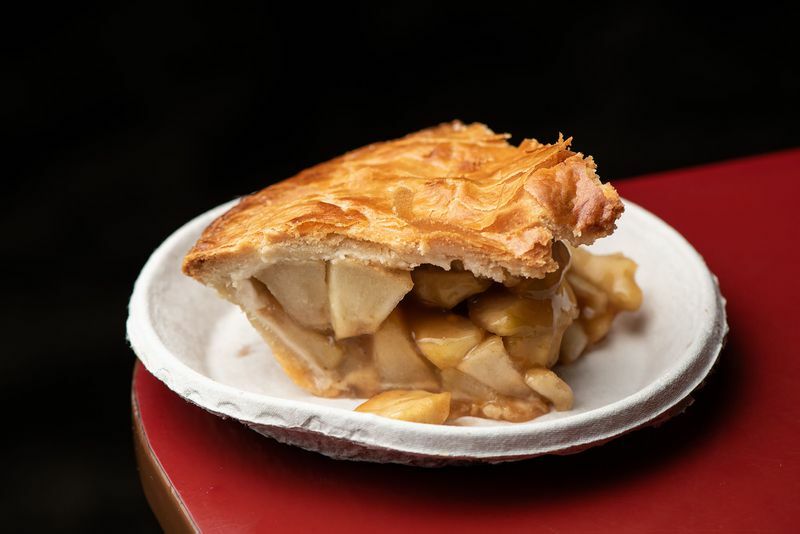 But at Philippe the Original in Chinatown, sawdust is just the beginning of the charm. The vintage turn is certainly well earned. 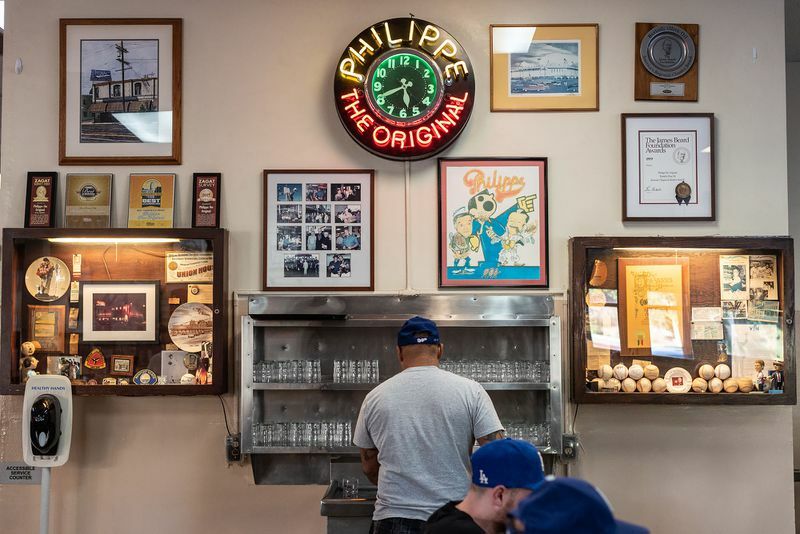 This year, Philippe’s — as it’s more colloquially known around town — turns 110 years young, making it one of the oldest restaurants still standing anywhere in Southern California. 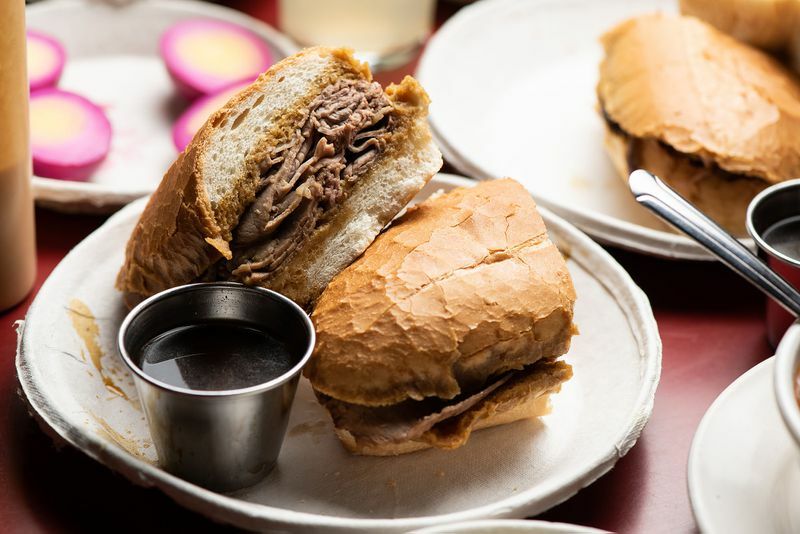 This would be reason enough to celebrate, were it not for the additional fact that Philippe’s has the credible claim of being the birthplace of the French dip sandwich. There’s an “Original” designation in the restaurant’s official full name for a reason. 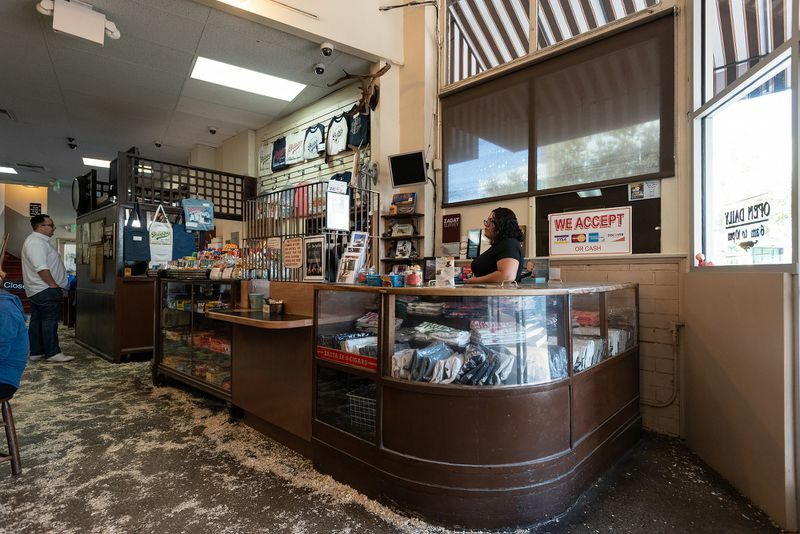 Almost anyone who comes through the corner door off Alameda knows the century-old legacy of Philippe’s, and if not, well, there’s plenty of memorabilia and lacquered-over newspaper clippings inside to keep the mind occupied. 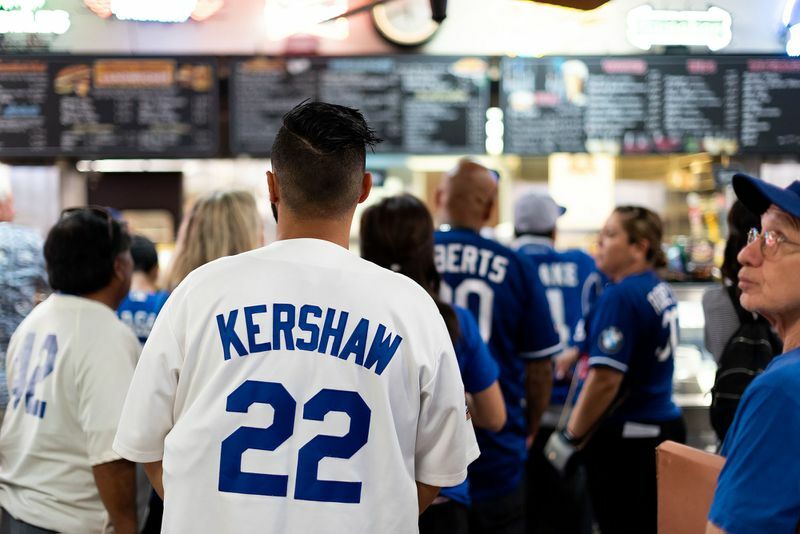 Diners can find them hanging in every nook and cranny, or at least the corners and dusty display boxes that aren’t already taken over by signed Dodger baseballs and old ticket stubs. 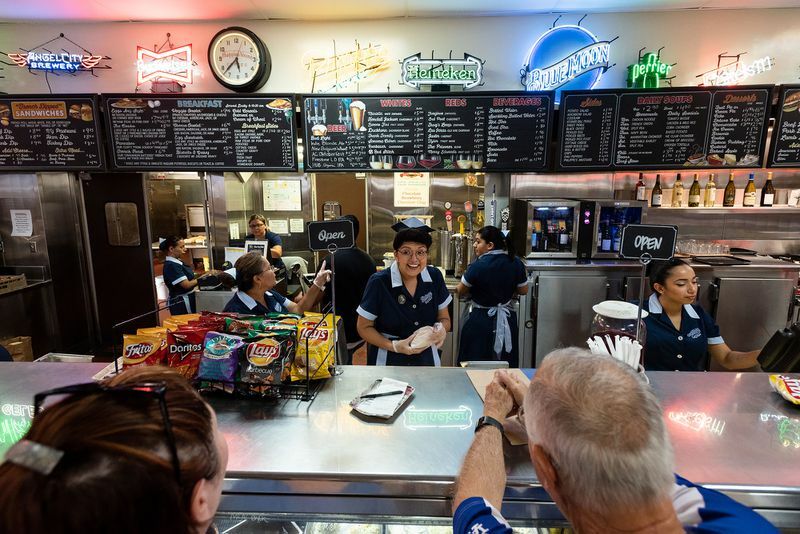 This is a place that knows and embraces its history, another rarity in constantly-churning Los Angeles. As legend holds, namesake original owner Philippe Mathieu founded his eponymous restaurant back in 1908, having emigrated to the United States from Southern France as a teenager. 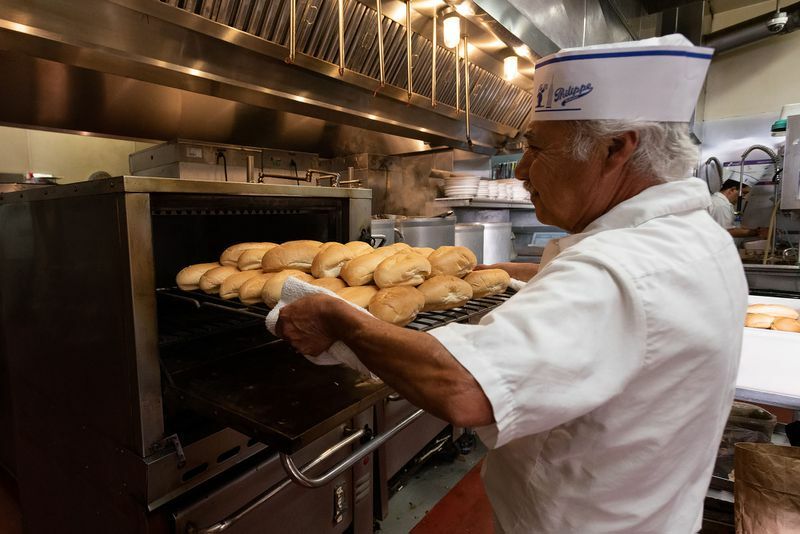 A slew of odd jobs led him into the deli business and, ultimately, to open Philippe’s as a simple takeaway stand for breads lined with roast meats. 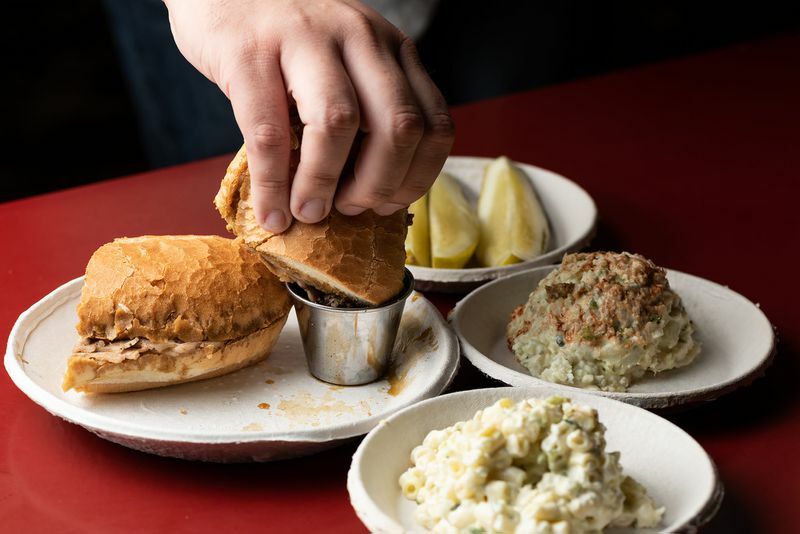 The restaurant stopped and started in new locations all over the northern edge of Downtown throughout the years, landing at its current address in 1951. 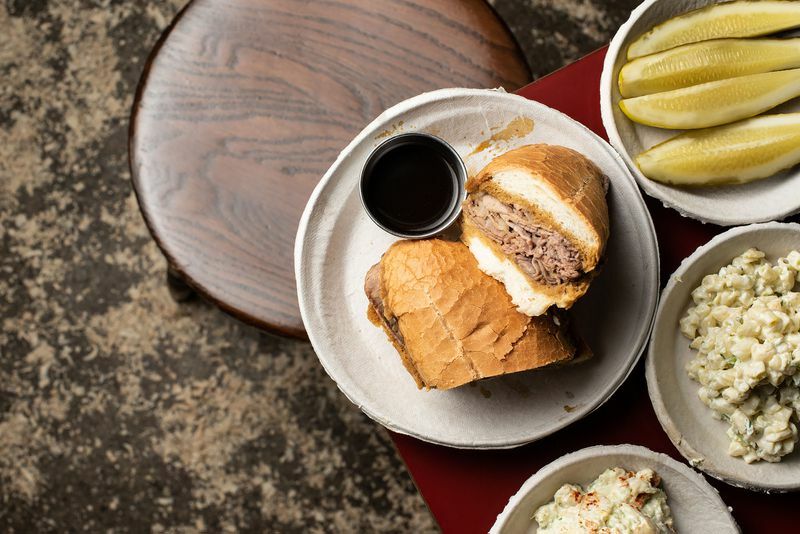 To hear Mathieu tell the somewhat-contested origin story of the famous French dip, the whole thing came about by request from a police officer a decade into business. 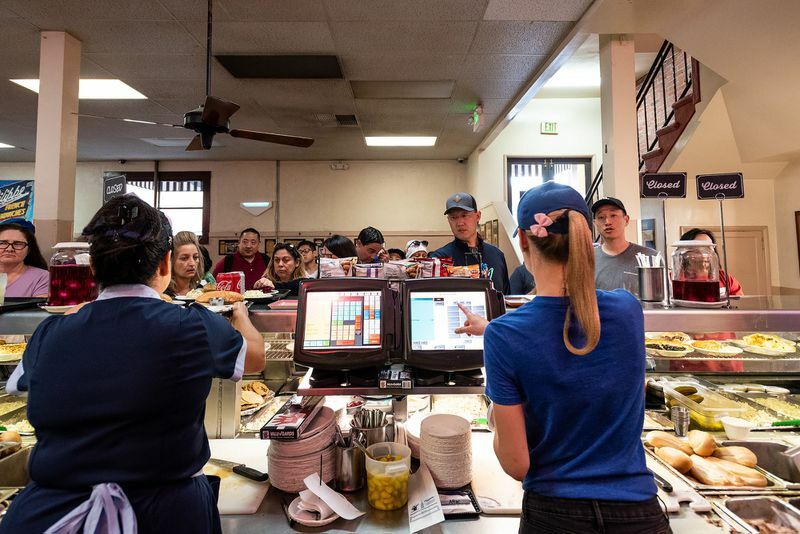 The man requested his sandwich be cut in half and dunked in the cooking jus left behind in the roast pan, and soon the entire restaurant was packed with locals looking to enjoy the same. At the time the sandwiches were ten cents apiece. 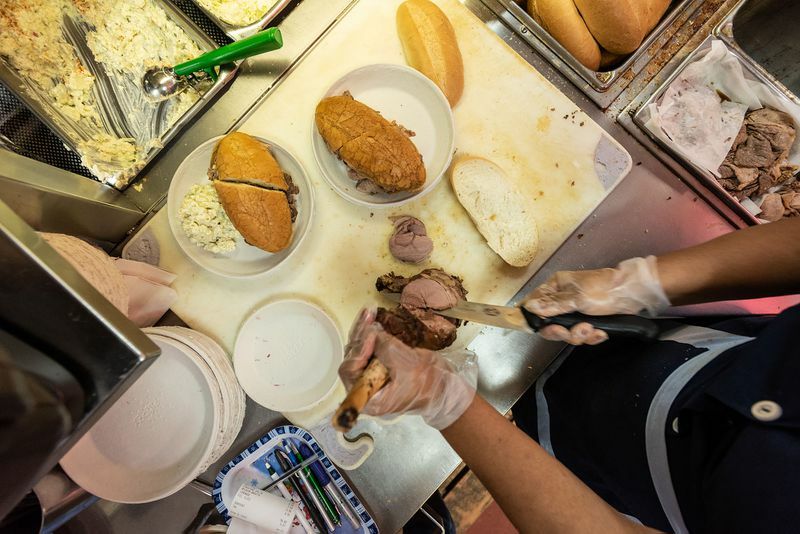 The menu has expanded over the years to include everything from breakfast (try the doughnuts) to pie to a variety of roast meat options for those same dipped sandwiches, including lamb, turkey, and pastrami. 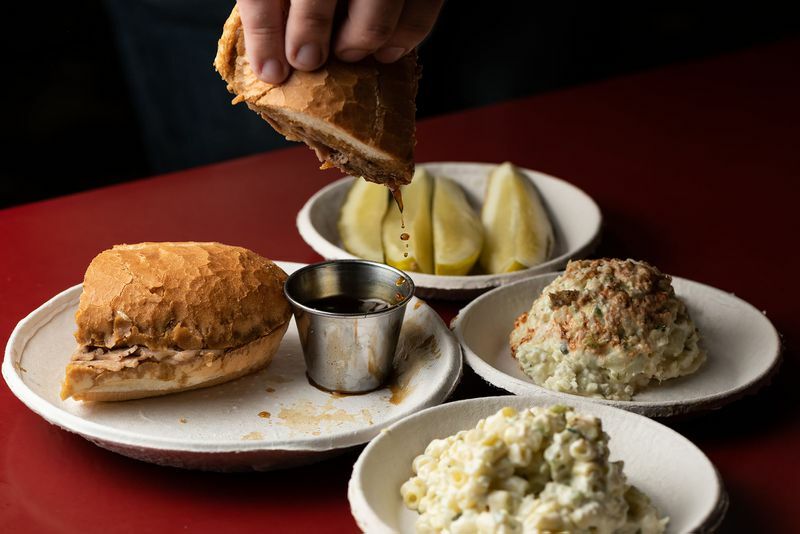 There are still pickled eggs and straightforward sides like potato salad and coleslaw, but Philippe’s is savvy enough to also offer a branded hot mustard for eating at home. 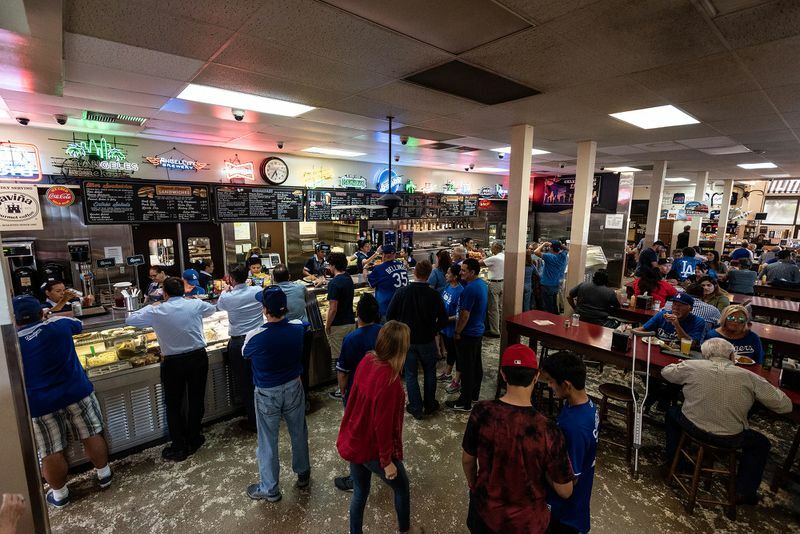 On game days, Dodger fans pack in and line up at the wide counter, as order-takers (they’re called carvers in company lingo) standing on elevated platforms whisk off requests in the blink of a lash. 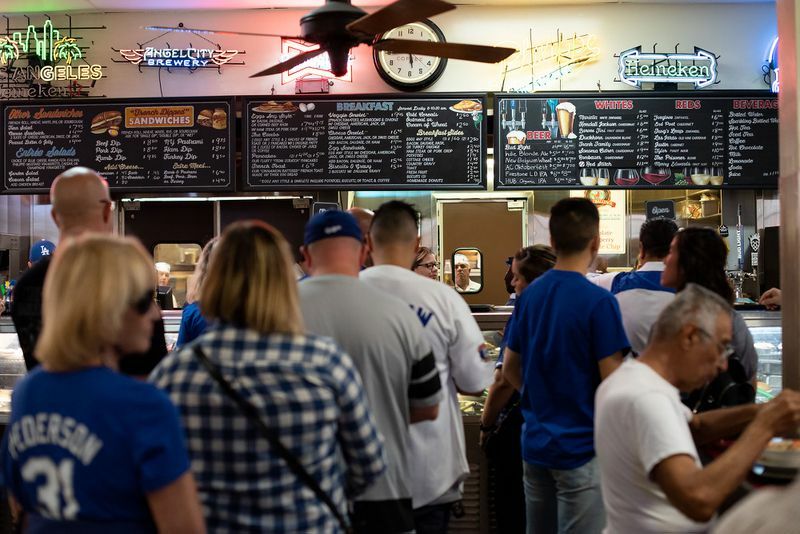 Nearly every common cafeteria tray gets at least one dip, and during any Dodger blue rush the fifty-cent coffee and cheap beers both fly. 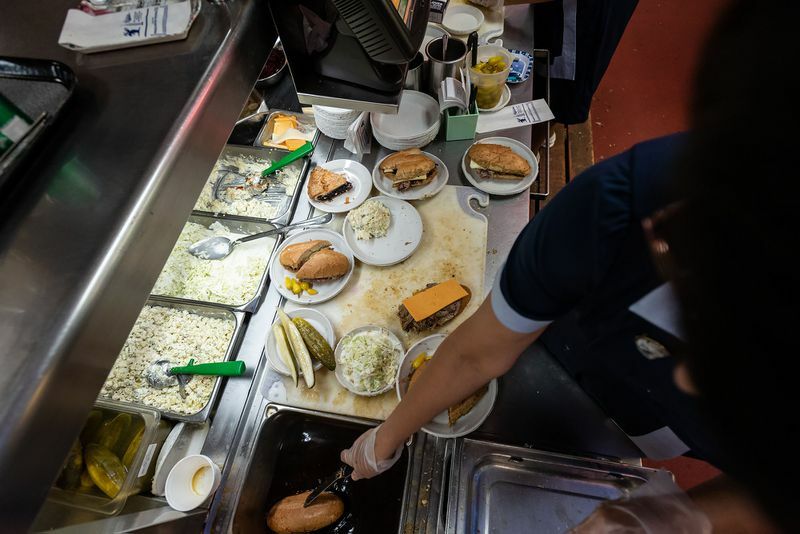 Philippe the Original works through 3,000 customers every day without breaking a sweat, each standing in the sawdust for a taste of LA history. That number nearly doubles on weekends and during big Downtown events, to the tune of 20,000 dipped sandwiches every week. 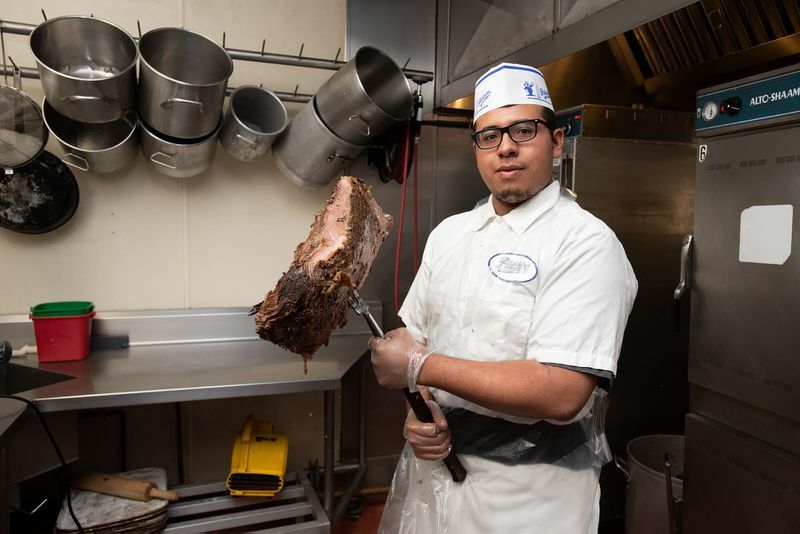 The sheer work it takes to cook off that much animal protein, to slice all that bread and write down all those finishing orders for slices of pie, is unreal. 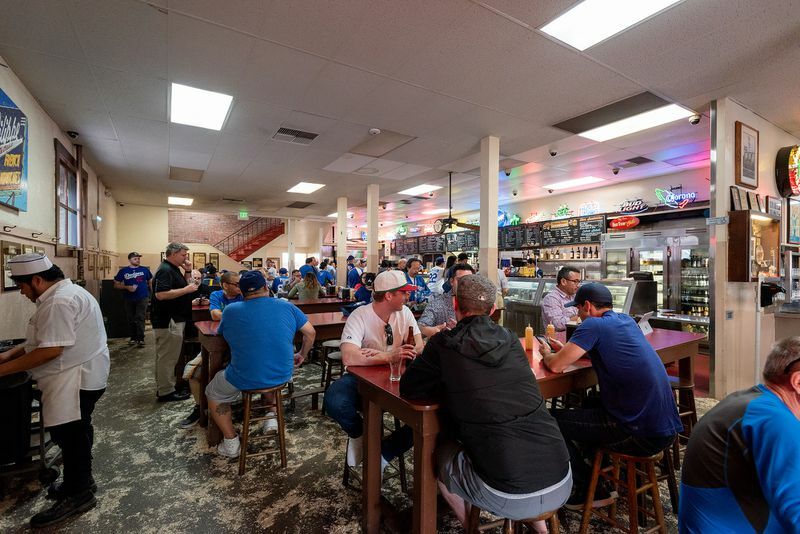 But at Philippe’s, it’s just another day in a 110-year history filled with innovation, with fans, with sawdust, and with happiness. 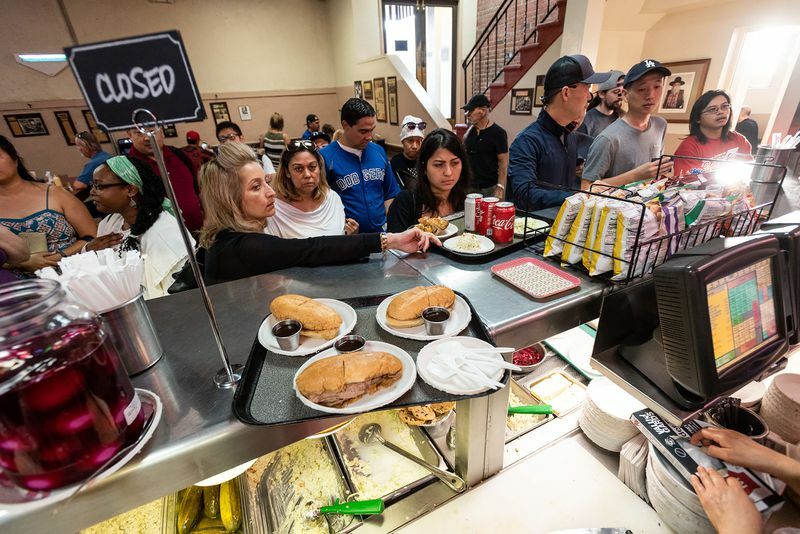 If the enduring crowds are any indication, Philippe’s could well be looking at another century and ten, hopefully this time in the same iconic location. 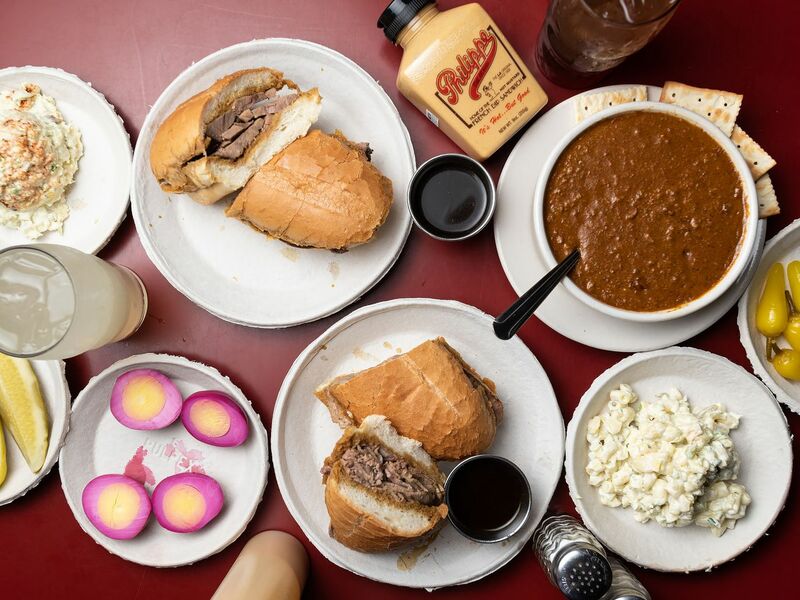 For generations of Angelenos and anyone from out of town who knows Los Angeles as a culinary destination, that would be a very good thing. Philippe the Original. 1001 N. Alameda St., Los Angeles, CA.